On the eve of the holidays, Tak Treba Production has reviewed its professional results this year. In 2016, the studio has produced over 200 hours of dubbing, over 3,000 hours of voiceover and about 250 hours of subtitling for Ukrainian and international companies. Thanks to the work of Tak Treba Production, this year characters from many popular movies, series and animation strips started speaking Ukrainian. Among those are The Wolf of Wall Street, Fast and Furious 6, The Hunger Games, The Night Manager, Fear the Walking Dead, IT Crowd, The Simpsons, Family Guy, South Park, and Call the Midwife. To greet their friends and partners, our colleagues issued an original Christmas Special. 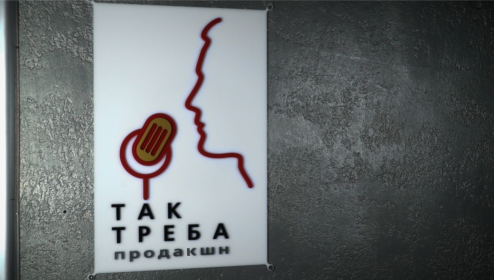 For the first time in 13 years of Tak Treba Production history one can see the employees of dubbing and voiceover studio whose faces normally stay out of the frame.